Nothing beats an autumnal walk, the crackling sound of leaves beneath your feet, invigorating fresh, crisp air as you embrace the beautiful hues of autumn. 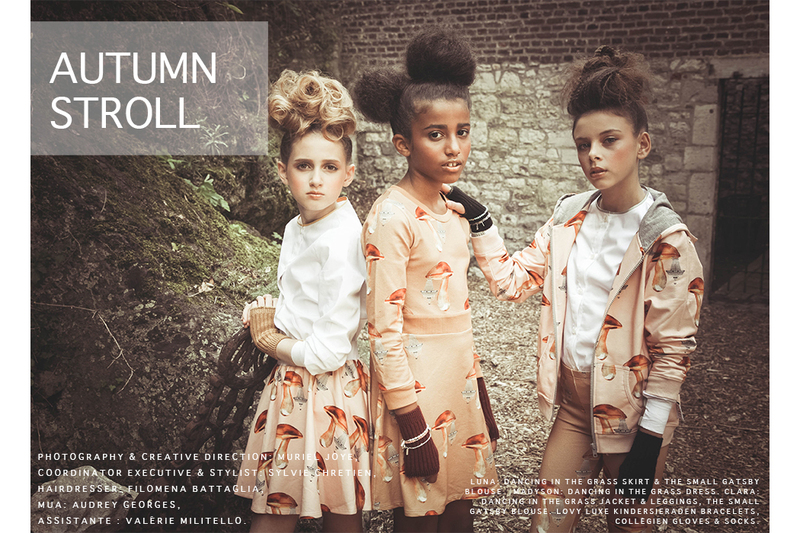 View Autumn Stroll, a Junior Style editorial by Muriel Joye. Slide 1 Image 1 -Luna: Dancing in the Grass Skirt & The Small Gatsby Blouse. Madyson: Dancing in the Grass Dress. 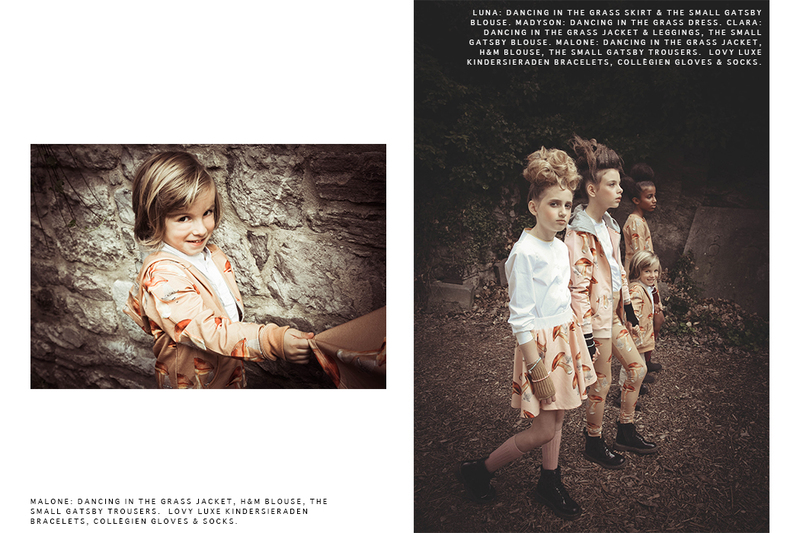 Clara: Dancing in the Grass Jacket & Leggings, The Small Gatsby Blouse, LOVY luxe kindersieraden Bracelets. Collègien Gloves & Socks. 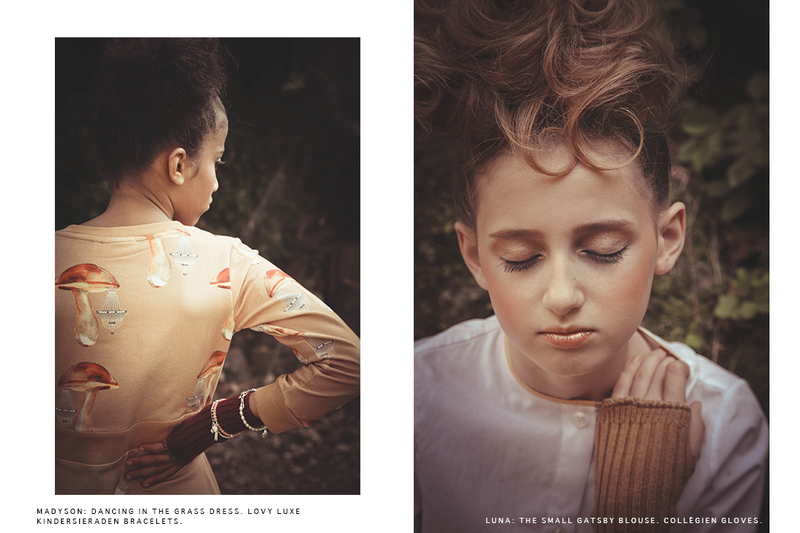 Slide 2 Image 1 – Luna: Dancing in the Grass Skirt & The Small Gatsby Blouse. Madyson: Dancing in the Grass Dress. Clara: Dancing in the Grass Jacket & Leggings, The Small Gatsby Blouse. Malone: Dancing in the Grass Jacket, H&M Blouse, The Small Gatsby Trousers. LOVY luxe kindersieraden Bracelets, Collègien Gloves & Socks. Image 2 – Madyson: Dancing in the Grass Dress. Clara: Dancing in the Grass Jacket & Leggings, The Small Gatsby Blouse. Slide 3 Image 1 – Malone: Dancing in the Grass Jacket, H&M Blouse, The Small Gatsby Trousers. 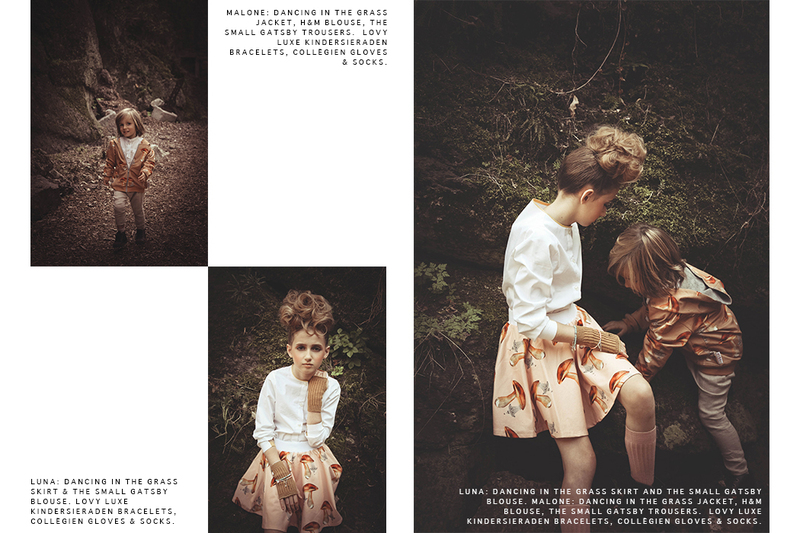 Image 2 –Luna: Dancing in the Grass Skirt & The Small Gatsby Blouse. LOVY luxe kindersieraden Bracelets, Collègien Gloves & Socks. Slide 4 Image 1 – Malone: Dancing in the Grass Jacket, H&M Blouse, The Small Gatsby Trousers. Madyson: Dancing in the Grass Dress. Clara: Dancing in the Grass Jacket & Leggings, The Small Gatsby Blouse, LOVY luxe kindersieraden Bracelets, Collègien Gloves & Socks. 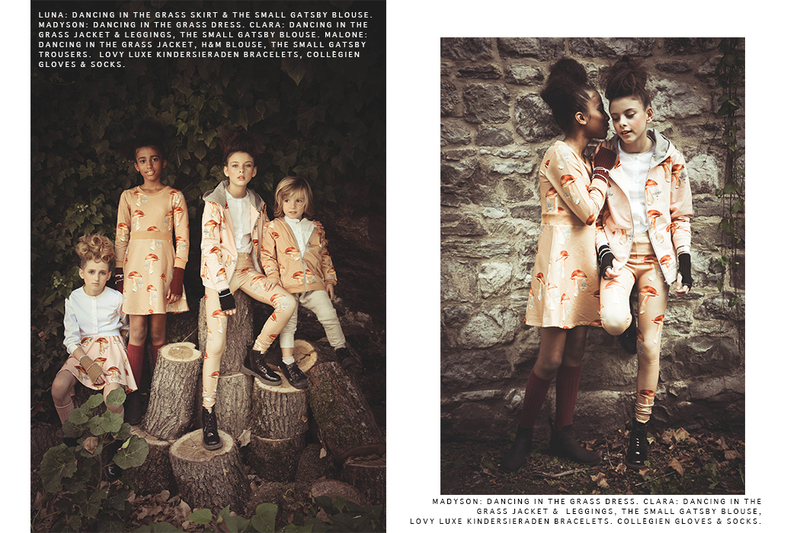 Image 2 – Clara: Dancing in the Grass Jacket & Leggings, The Small Gatsby Blouse. LOVY luxe kindersieraden Bracelets. 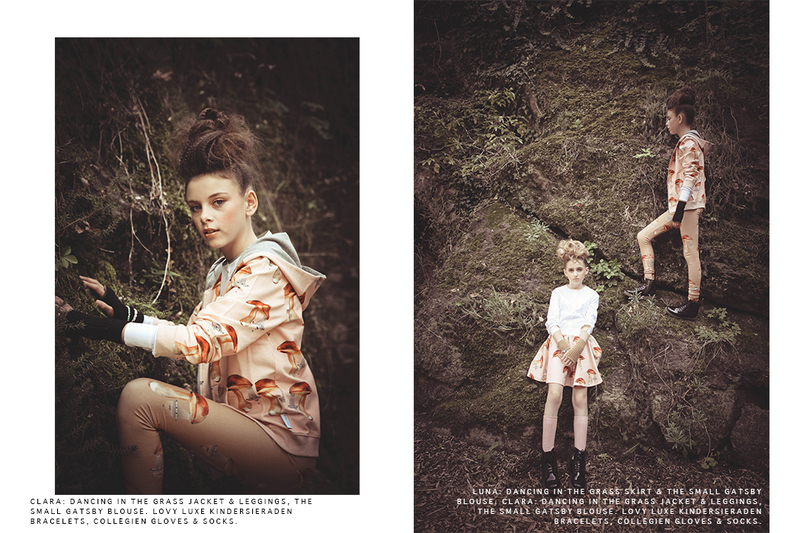 Slide 5 Image 1 – Clara: Dancing in the Grass Jacket & Leggings, The Small Gatsby Blouse. LOVY luxe kindersieraden Bracelets, Collègien Gloves & Socks. Image 2 – Luna: Dancing in the Grass Skirt & The Small Gatsby Blouse. Clara: Dancing in the Grass Jacket & Leggings, The Small Gatsby Blouse. LOVY luxe kindersieraden Bracelets, Collègien Gloves & Socks. Slide 6 Image 1 – Malone: Dancing in the Grass Jacket, H&M Blouse, The Small Gatsby Trousers. Image 2 -Luna: Dancing in the Grass Skirt & The Small Gatsby Blouse. LOVY luxe kindersieraden Bracelets, Collègien Gloves & Socks. Image 3 – Luna: Dancing in the Grass Skirt & The Small Gatsby Blouse. Malone: Dancing in the Grass Jacket, H&M Blouse, The Small Gatsby Trousers. LOVY luxe kindersieraden Bracelets, Collègien Gloves & Socks. Slide 7 Image 1 – Malone: Dancing in the Grass Jacket, H&M Blouse, The Small Gatsby Trousers. Image 2 – Luna: Dancing in the Grass Skirt & The Small Gatsby Blouse. Madyson: Dancing in the Grass Dress. Clara: Dancing in the Grass Jacket & Leggings, The Small Gatsby Blouse. Malone: Dancing in the Grass Jacket, H&M Blouse, The Small Gatsby Trousers. LOVY luxe kindersieraden Bracelets, Collègien Gloves & Socks. Slide 8 Image 1 – Madyson: Dancing in the Grass Dress. 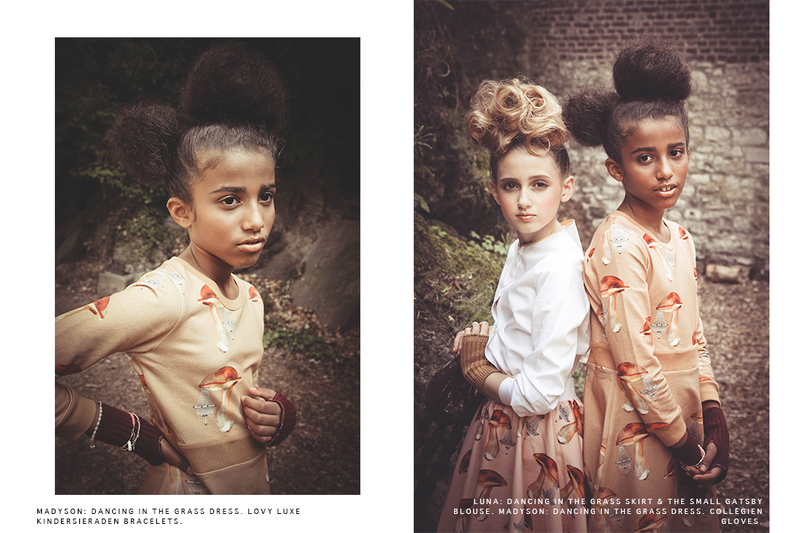 Clara: Dancing in the Grass Jacket & Leggings, The Small Gatsby Blouse, LOVY luxe kindersieraden Bracelets. Collègien Gloves & Socks. Image 2 – Luna: Dancing in the Grass Skirt & The Small Gatsby Blouse. Madyson: Dancing in the Grass Dress. Slide 9 Image 1 – Madyson: Dancing in the Grass Dress. 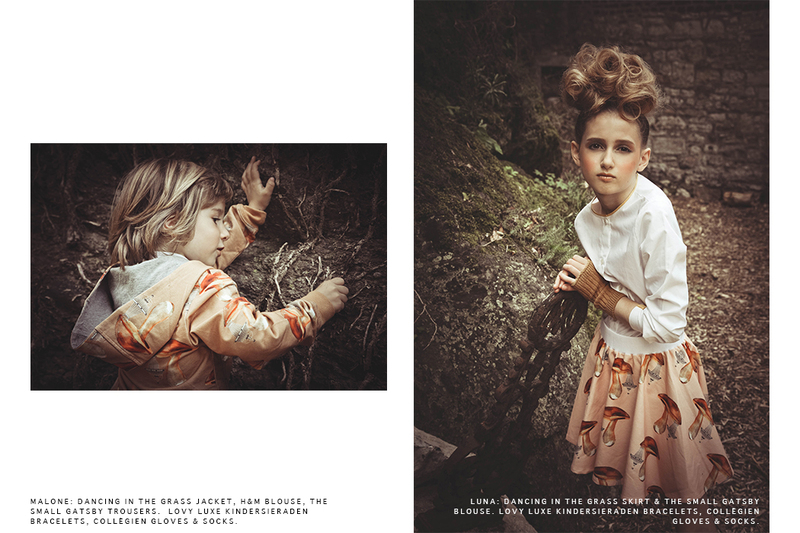 Image 2 – Luna – The Small Gatsby Blouse, Collègien Gloves. View Summertime Mood Muriel Joye’s fantastic editorial bringing together a summer of adventure and the carefreeness of the holiday time. 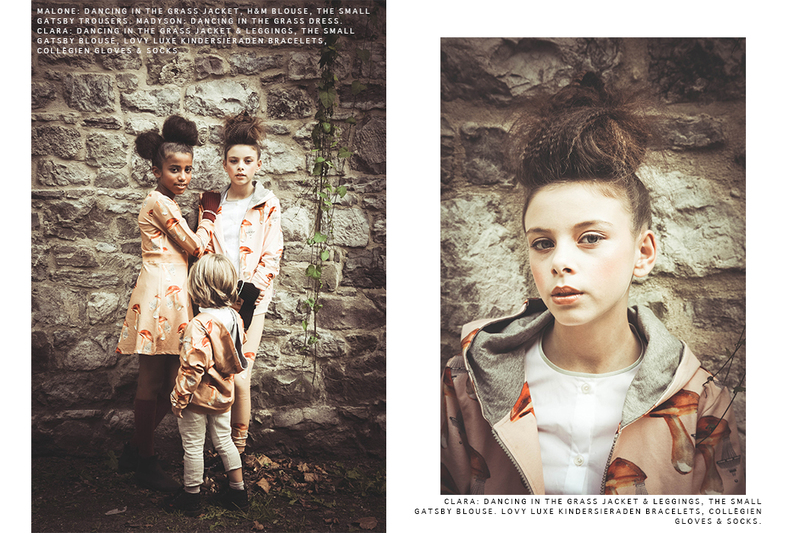 View Muriel Joyes lastest editorial for Junior Style, Fluffy & Wild here.